Celebration of Repentance Day was submitted by a group of churches to O'Neill's predecessor Sam Abal. However, he was ousted before he could announce creation of a new holiday. New Prime Minister Peter O'Neill announced the first celebration of Repentance Day on August 15, 2011, just 11 days before the holiday itself. Originally Repentance Day was intended to be a day of Christian prayer. People should come to church to pray and ask the Lord to forgive their nation for all the wrongs they've done. This idea was not objected by the Muslims of Papua New Guinea, but they insist, that it would send a wrong message, that repentance should occur only once a year, instead of every time as something bad or wrong is done. The churches throughout the country hold pray ceremonies on this day. 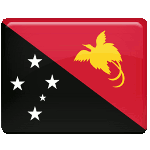 The ceremony in the capital of Papua New Guinea, in Port Moresby, is attended by national leaders, church leaders and representatives of the provinces of the state.